Change is especially hard when it involves something you really like. Years ago, I ran the art department of a magazine. When I took over, I wanted to clean up the look of the book a little. In my research, I remember reading a lot of angry letters in other magazines that took them to task for the smallest of changes. I’m thankful that this was basically pre-internet being useful for much or I’d have probably been too scared to make my changes. Because, believe it or not, people don’t like it when you mess with their stuff. And I really do mean their stuff. People get invested in their favorite brands and products. And the bourbon-world is no exception. The popular outcry that forced Maker’s Mark to reverse an unpopular business decision a few years ago is proof of how much people love their chosen bourbon. 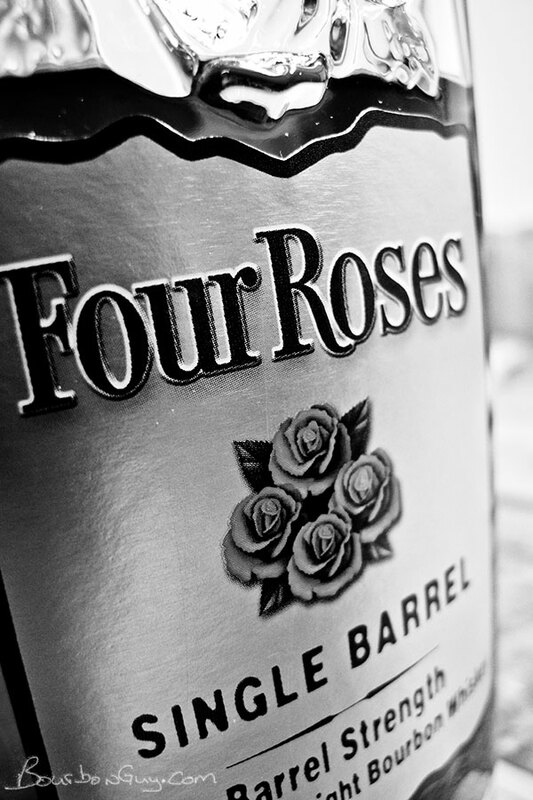 Last summer well-loved bourbon brand Four Roses announced a change of a different sort. Beloved Master Distiller Jim Rutledge was retiring. And while there was honest congratulations for him on a well-deserved retirement, there was also an underlying nervousness. Would the bourbon change? Would the quality decrease? Would they put out a flavored bourbon now? And while it will take some time to find the answers to the first couple of nervous questions, newly minted Master Distiller Brent Elliott got a round of applause when he announced to a September crowd that the answer to that last question was a resounding no. But wait, I guess there actually is a way to get a hint of the hands, or at least the palate, that now puts its stamp on Four Roses. And that is to grab a gift shop single barrel selection chosen by him. Which is what I did last September when I visited. Along with the a bottle of one of Mr. Rutledge’s last selections (which I will be sitting on for a bit), I grabbed one of the first two selections by Mr. Elliott for the gift shop. I figure it should be a fair assessment of what he thought was good. Nose: Sweet fruitiness, cinnamon, mint, brown sugar. After some time in the glass rich oaky notes of tobacco and leather are revealed. Mouth: The mouth leads with a spicy cool tingle before resolving into oak, cloves, eucalyptus, honey and pears. Finish: The finish is long with a warmth that settles in the chest and a minty coolness in the mouth. Pears and eucalyptus linger. Thoughts: If I had any fears that the quality of the barrel selections would drop off at the gift shop once Mr Rutledge wasn’t doing the choosing, those fears are laid to rest. While this is certainly different than any of the other picks I’ve gotten there in the past, it is just as tasty. Love this one.